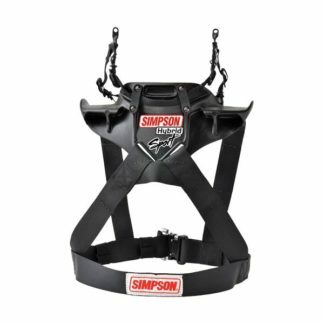 The Simpson Youth Hybrid Sport Head and Neck Restraint is the next evolution of the popular Hybrid Pro Race Device. Using a proprietary DuPont carbon/polymer construction, the Hybrid Sport holds a 20% weight savings over the Pro Rage while keeping a sleek and modern design. 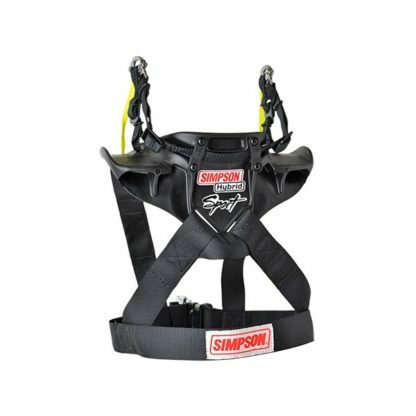 Defined shoulder wings help keep the harness in place, while the standard sliding tethers and multi-tether system offer a full range of movement without sacrificing protection. 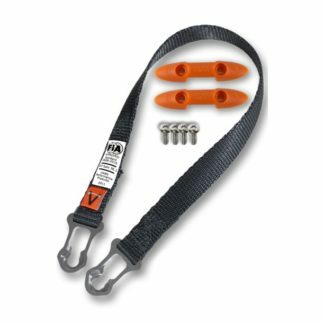 The SFI-rated Hybrid Sport keeps the minimalist design that rests on your back allowing for a quick vehicle exit. 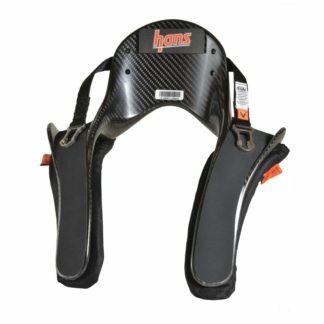 The design also means there is no need for seat modification, nor is the device affected by seat angle.